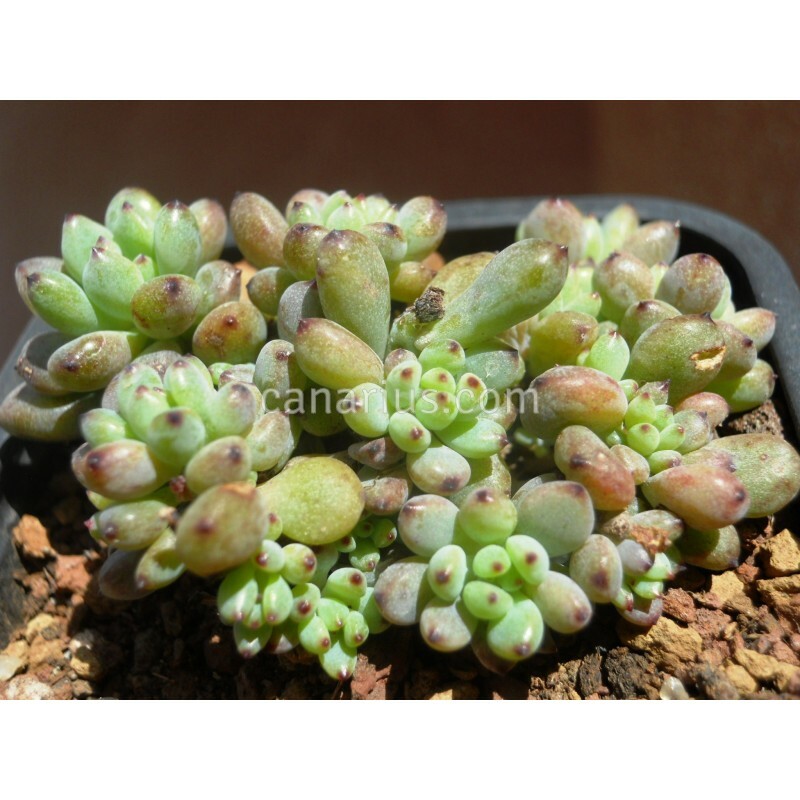 Small ground-covering Graptopetalum with compact rosettes of colourful leaves that can become green, blue or pink according to the season or sun exposure. Flowers are also beautiful, white-green banded in dark red. We offer a plant of the following size: 6 cm pot, branched with many heads. We ship worldwide.